Saint Josaphat's Ukrainian Pontifical College (Колегія св. Йосафата; Kolegiia sv. Yosafata). A papal institution for training Ukrainian theologians, founded in 1897 by Pope Leo XIII in Rome and named after Saint Yosafat Kuntsevych. Since 1904 it has been run by the Basilian monastic order. 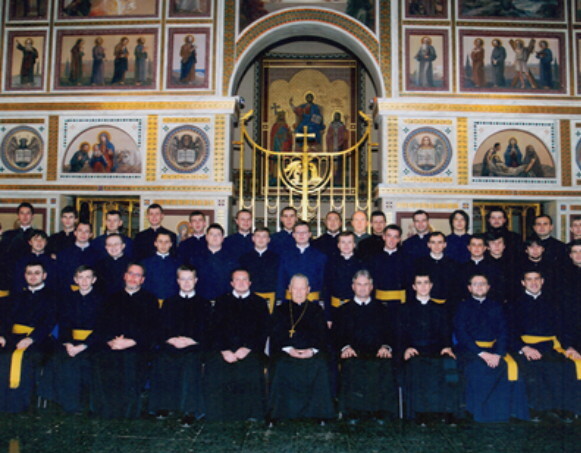 In the 1930s theology students from all Ukrainian Catholic eparchies attended Saint Josaphat's College. The college has produced over 350 clergymen and 5 bishops. The college’s summer center is at Castel Gandolfo, near Rome.